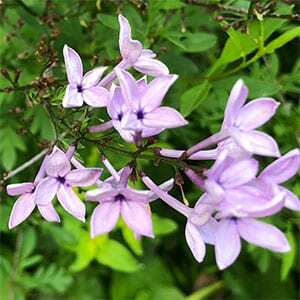 Syringa laciniata is a natural hybrid with fragrant lavender pink flowers in spring. This is a suckering shrub and will form a dense clump over time. Commonly called the Cut-leaf Lilac as well as Persian Lilac this is an attractive plant with good green foliage as well as the flowers. Useful as a hedging plant or perhaps pruned as a small shrub to around 1 metre (3ft) in height. Also suited for use in the general garden border where it can used to add structure. Best grown in full sun in a soil that is on the chalky side rather than acidic. Flowering will be more prolific in a sunny position. Once established this is a drought tolerant plant, however it is better where it receives good moisture in spring. Mulch around the plant to suppress weeds and maintain a cool moist root run. Best pruned immediately after flowering, this will allow you to control size and shape as well as increase flowers the following season. Propagation is from cuttings taken in early summer. Spread To around 2 metres. Flowers – Lavender pink and fragrant. 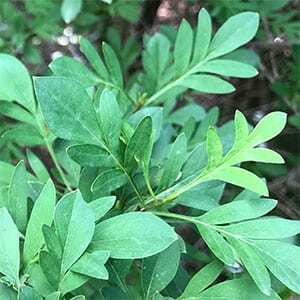 Foliage – Mid green, finely cut and deciduous.